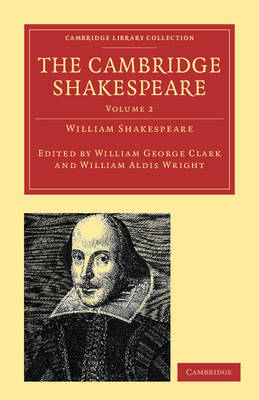 The Cambridge Shakespeare was published in nine volumes between 1863 and 1866. Its careful editorial principles, attractive page design and elegant typography have withstood the test of time. This text was based on a thorough collation of the four Folios and of all the Quarto editions of the separate plays, the base text being the 1623 Folio. The critical apparatus appears at the foot of the page, but for passages where the Quarto differs significantly the entire Quarto text appears in small type after the received text. Notes at the end of each play explain variants, emendations, and passages of unusual difficulty or interest. Grammar and metre were generally left unchanged by the editors, but punctuation was normalised and nineteenth-century orthography was adopted instead of the variable Elizabethan spelling. In a bold move for a Victorian edition, the editors restored various 'profane' expressions where metre or sense demanded it.